Soon to be on Barnes and Noble. For the past week, my life has been a living testament to Murphy’s Law, “Anything that can go wrong, will go wrong!” from power outages due to weather, internet outages, illness, injury…you name it. The ebook will also be available on Smashwords, but not for another week…a trickle-down effect from the issues above. Again, my deepest apologies. I will post the links here, on Twitter, and on Facebook as soon as I have them. In the meantime, please enjoy the Excerpt and enter the Giveaway ! And please check back for links. I’m so excited to introduce you to Dylan and Cara! She returned his smile and moved on down the aisle of the plane. 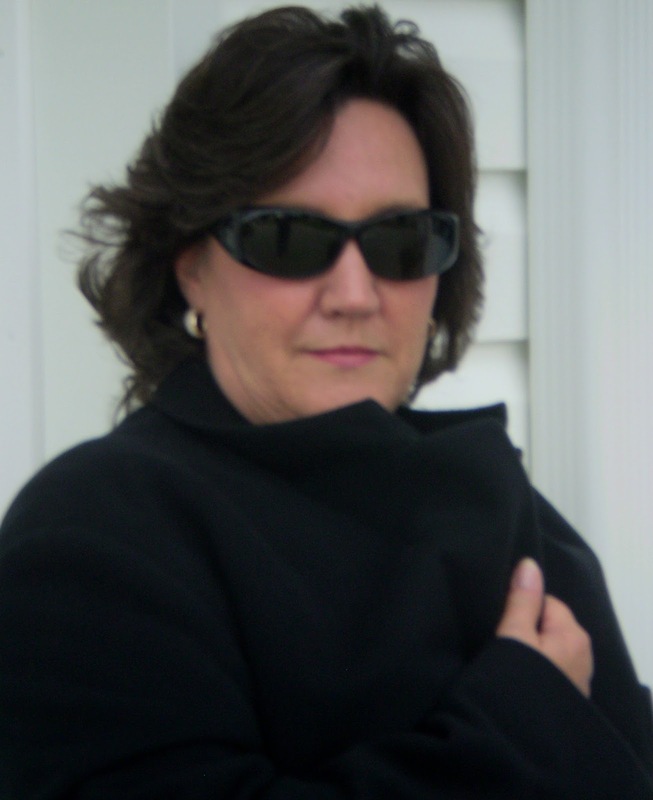 Dylan leaned back and looked out the window, putting the bud back in his ear. At That Moment will be released on Thursday, March 17th – St. Patrick’s Day! 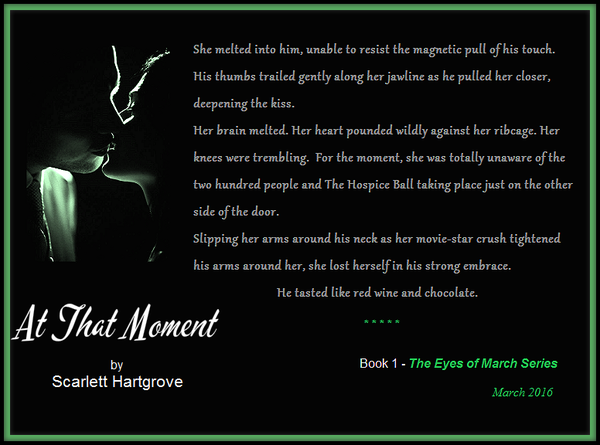 At That Moment is Book 1 of the series, Eyes of March. It is the story of Cara Mears, a 35-year-old successful business owner with a past, who meets her movie-star boyfriend face to face. Dylan Madigan, internationally famous Irish film and stage actor, is 44 years old and is everything Cara could ever imagine she wanted. They meet by chance (or design?) at a St. Patrick’s Day Ball, and their journey begins At That Moment. Worlds collide, cultures clash, and hearts reach out to each other. Won’t you join them for the ride? It’s my Cover Reveal day! She owns a successful company, has loyal friends and a decent relationship, and has convinced herself that this is enough. Cara’s heart exploded in her chest as she managed to nod in response. She met his eyes with a smile as she laid her hand in his and followed him to the dance floor, her knees trembling, her heart pounding. When they reached the dance floor, Dylan turned to face her. 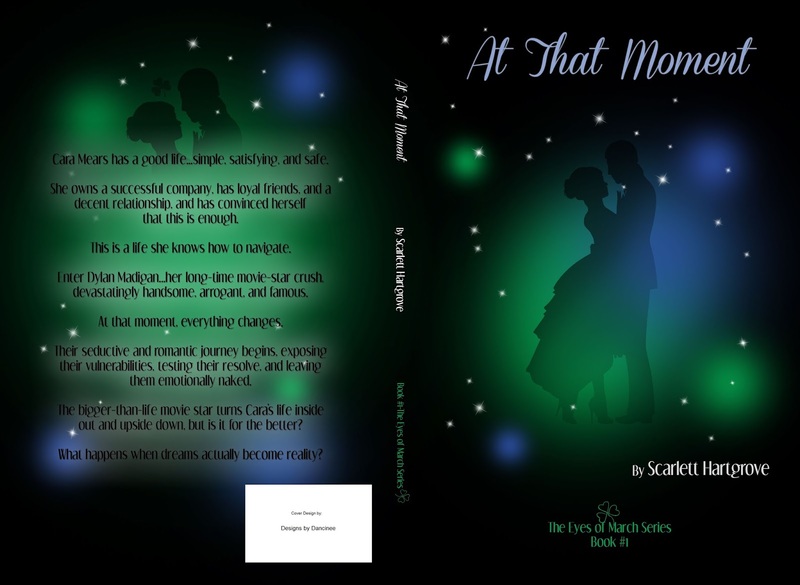 As she stepped toward him, he slipped his right arm around her and took her hand in his. He navigated the crowded floor until he found a spot for them and met her eyes, flashing his deadly smile. He began to move in time with the music, leading her firmly with his hand on the small of her back, leaving a respectable distance between them. Cara’s eyes were locked on his beautiful face as he looked down at her. 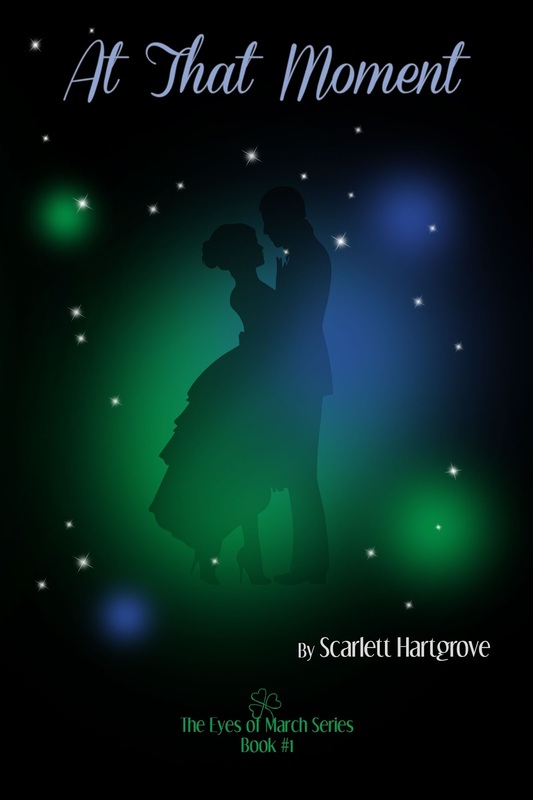 She was surprised to find that he was, in fact, a good dancer, very much in control, leading strongly. She let herself move with him, the nervousness inside her calming a bit as she concentrated on their movements. She felt like Cinderella dancing with her prince! As a young girl, I kept a diary, which led to the habit of keeping a journal and writing short stories. I have spent my life writing in my head.